Something that many of us have been asking ourselves is just how to go plastic free when it seems like plastic is everywhere. 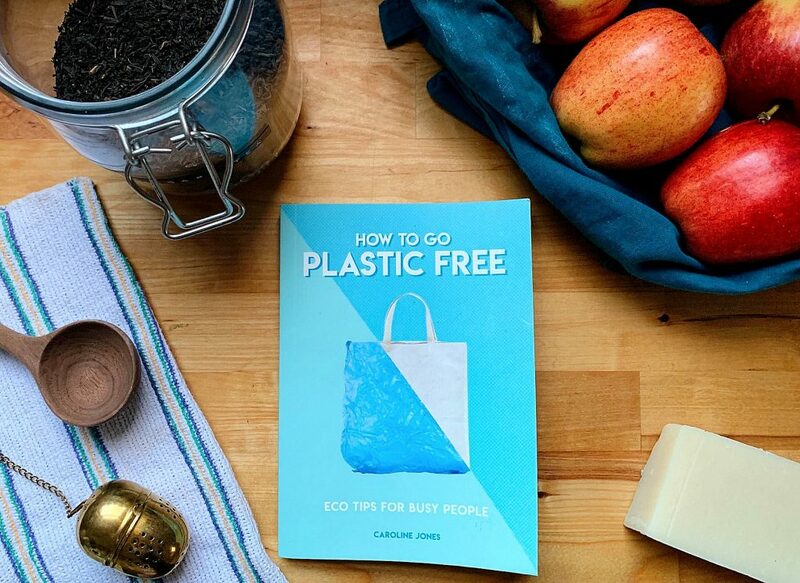 Thankfully Caroline Jones, author of How to Go Plastic Free* (affiliate link) which has recently been published through Carlton Books, is here today with a great guest post on some of the ways that she is going plastic-free, and some great ideas for us. My New Year’s resolution this year – and one I hope to keep going long past January – has been to try extra hard to cut down on my plastic waste. Having spent a big chunk of last year researching and writing my book entitled: How to Go Plastic Free, I realised that even though I’m an avid recycler and plastic avoider, there’s still a lot more I could be doing to make a difference. Over the last 100 years, global plastic usage has grown from zero to the point where humanity now produces its own weight in plastic every single year. That’s a shocking 300 million tons of plastic – with only 10 percent of it recycled. But from polluting oceans to filling up landfills for decades without decomposing, the devastating impact plastic has on our planet is now well documented. Yet with our daily life so dependent on a vast variety of plastic products, making the shift to living a life without plastic is undoubtedly a real challenge. It’s easy to think that one person using less plastic isn’t going to save the world, but personal commitment is how all positive change begins. One person inspires another, and then another and before long a ripple becomes a wave of change that can remake our world for the better – for our own future and for many generations to come. This stuff is everywhere! Often in the form of food packaging, it includes any plastic that’s used just once and then thrown away or recycled. Because it’s so convenient, single-use plastic has seeped into every corner of our lives, but the negative impact it has on the environment is so immense we really need to reduce our reliance on it. It’s so easy to buy a drink in a plastic bottle and a plastic wrapped sandwich every lunchtime – and then carry them out of the shop in a plastic bag. All of which is used for just a couple of minutes before being discarded forever. Yet the huge amount of plastic needed to supply this takeaway lunch habit is terrifying. Even if only 15 percent of the world did this daily throughout their working life that’s over 2400 billion batches of discarded lunchtime plastic. It’s impossible to escape the consequences of throwing away such vast quantities of a material that takes hundreds of years to break down. And while some single use plastics items, such as plastic bottles, can be recycled, many can’t. Which makes them the worst form of plastic used today – hands down. So, if there is a significant change to sign up to right away, it’s ditching single use plastic that can’t be recycled. Here are the top ten worst offenders that I’m planning to cut out for good this year. If you love sparkling water, as we do in our family, it could be time to invest in a SodaStream. 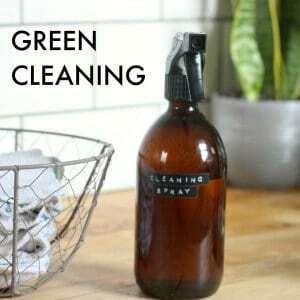 This Eighties favourite has recently been repositioned as an eco-product, as using it to add bubbles to tap water means you can finally do away with plastic bottles of fizzy water – or having to carry heavy glass bottles back from the shop. Some models actually come with their own glass bottle to store your newly carbonated water in. Better still, it can save you money! Each gas canister (which can be refilled) makes up to 60 litres of water for around £13. With the leading sparkling water brand costing around £1 for a 1-litre bottle, you can get nearly 5 litres of SodaStream fizzy for a similar price. We’ve not stopped using ours since it arrived! Supermarket milk comes in plastic bottles, which you’ll want to avoid when you’re trying to go plastic-free. Shops also sell milk in cardboard containers, which may seem like a good option, but most are actually coated inside and out with a thin plastic layer. This makes them a mixed material item and therefore almost impossible to recycle. This means your best is going old school and using a local milkman – as most people in the UK did up until the last 30 or so years. Home delivered milk is making a resurgence, and most areas have dairies that deliver locally, providing milk in returnable, reusable glass bottles. I found my local one online and have signed up. The capsules used in nearly all popular single-serve coffee machines contain plastic and are notoriously bad for the environment as they can’t generally be recycled. One option is to source biodegradable options, such as Halo, who make compostable pods compatible with most popular machines. But generally speaking, swapping to a machine that uses loose coffee – either ground or whole beans – is the greenest way to go. Then you can seek out smaller, independent coffee shops and delis in your area and take your own jar or tin to fill up. My local shop offers a 10% discount for customers bringing their own container. Finally, if you’re feeling brave and want to make a stand the next time you’re doing your supermarket shop, Greenpeace advise taking some of the plastic packaging you don’t want off the products you do want and leaving it at the checkout. So, I plan to do this from now on! It might sound scary, but as customers we are well within our rights to do it – and are actually helping the supermarket to understand what shoppers really want. I also plan to write to the senior management team of my local supermarket to lobby for less plastic packaging. Because the more noise we all make, the sooner we will bring about lasting changes in plastic use. Thanks Caroline! 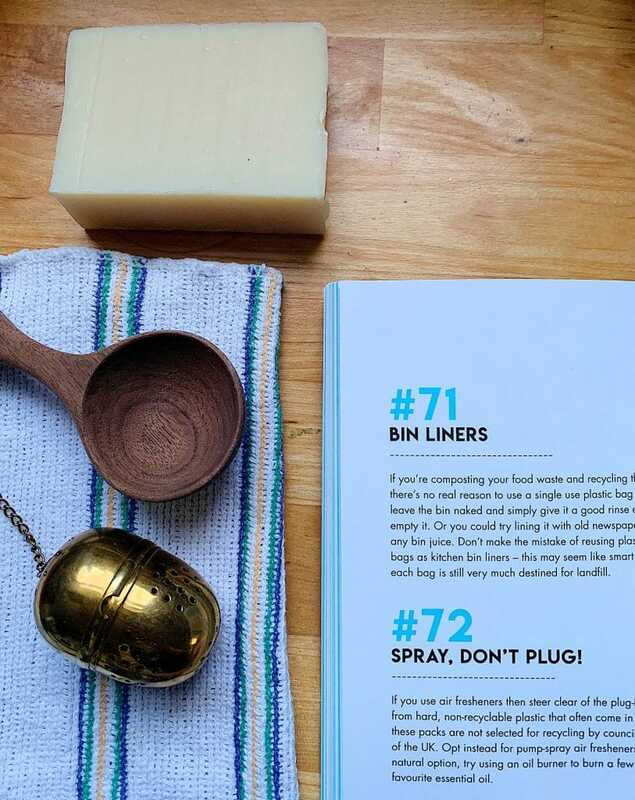 Caroline’s super book – How To Go Plastic Free* is packed full of easy eco tips and actions on how to live with fewer plastics, no matter how busy your life is, and is out now. Even if you can’t eliminate all plastics, Caroline offers great tips on picking better options. Hello! How’s it going? 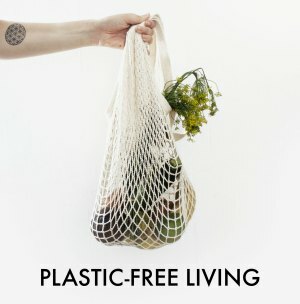 I’ve decided that this year I’m going to try and make one plastic-free swap a month. You can join me using the hashtag #plasticfreeswapamonth on Instagram if you’re looking for moral support and ideas. This month I swapped individual shampoo bottles for a 5-litre bottle of shampoo* and a glass bottle with a pump* (affiliate links) to decant it in to. My partner and I have been using shampoo bars for a year now, but my kids hair and scalp took badly to the swap – from really itchy scalps to really greasy hair. 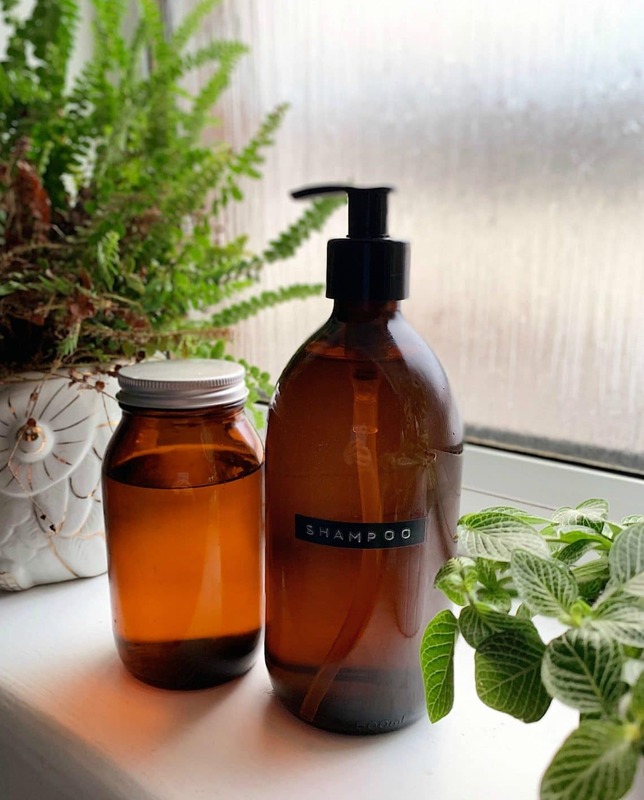 In the absence of refill stores in our area, we made the switch back to bottled shampoo for them, sticking with the shampoo bars for us, and focusing on other areas we could make a difference. This month I decided that even if there are no bulk shampoo refill shops within 15 miles of our house I could bring the refill shop to us. Now I have a year’s supply of shampoo for my kids for just £20. I’ve also decanted some into a small glass jar and am using the shampoo as a bubble bath too. Admittedly the 5-litre bottle may be plastic, but a lot of bulk stores dispense shampoo from 5-litre plastic bottles anyway, so the only difference is that I’m recycling the plastic rather than the shop, and it moves us away from using lots of smaller plastic bottles. I’m calling it a win! Do join in on Instagram if you can! 1. In what is possibly the most exciting news I’ve read in ages, Tesco is set to trial refillable packaging later this year. Customers will pay a small deposit for a reusable container alongside its contents, which they will then get back when they return the container. The container is then cleaned and refilled for the next person. “The system means we’ll see products in very different packaging than we’re used to. The use of plastic should be far less common than it is with disposable/recyclable packaging, and we might see some more premium materials, too – think handwash in glass dispensers. We’ll also see toothpaste tablets and aluminium ice cream tubs“. It’s really exciting seeing the big supermarkets stepping up to help reduce waste. 2. In other similar news, Nestle, the planet’s largest packaged food company is ditching single-use plastic, by 2025. Nestle also aims to make 100% of its packaging recyclable or reusable by 2025, phasing out any non-recyclable or hard to recycle packaging. Plastic bottles, in particular, will represent a major challenge for Nestlé–which makes billions by running 100 different water bottling operations in 34 countries across the world. As a result, Nestlé seems to admit that it needs to think beyond typical plastic altogether. “While we are committed to pursuing recycling options where feasible, we know that 100% recyclability is not enough to successfully tackle the plastics waste crisis,” said Nestlé CEO Ulf Mark Schneider in a press release. 3. This was a fantastic read about the power of naming and shaming the big brands that contribute to the 8 million tonnes of plastic that enter the oceans every year. Although there’s no neat conclusion, I feel the story is only just beginning on this one and it will interesting to hear what happens next. 4. Cigarette filters are the number one most littered plastic in the world. The filters were introduced in the 1950s in response to lung cancer fears, but now it’s been proven they don’t even help prevent cancer. 5. 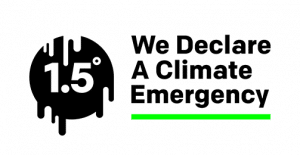 Would you pay $10 USD (£7.50) a month to help combat climate change? 70% of Americans say they wouldn’t, despite the fact that more Americans than ever are worried about climate change. I’d imagine it would be a similar figure here, to be honest. 6. How social media is inspiring children to save the natural world – a refreshing change from the “social media is the ill of the world” articles. 7. Iceland (the supermarket) slips up – the supermarket has told the BBC that – in a bid to meet a pledge to remove palm oil from all its own-brand products – it removed its branding from some items, rather than the ingredient, showing just how hard it is to go palm oil free. 8. Google, Facebook, and Microsoft are in the bad books for new reasons – they sponsored a conference that promoted climate change denial. Thanks guys. 9. Has big business hijacked veganism – and sold it back to us? Dickinson points to products such as Flora’s ‘Freedom Dairy Free Spread’ – and the fact that margarine has always been dairy free. “Margarine has existed forever, it’s hilarious – they just put it in a new package”. 10. 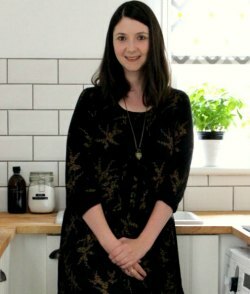 And finally, a great post from Lindsay on the 5 things you need to go zero waste, no purchase required. Have a great Sunday! We watched this programme about a nomadic Sumatran tribe last night and it’s well worth a watch. I love Chris Packham, and this compelling programme was some serious food for thought.